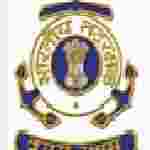 Indian Coast guard Navik General Duty recruitment 2016-17 apply online : Indian Coast Guard (ministry of Defence) welcomes application from Indian candidates possessing educational qualification and age as prescribed below for recruitment to the position of Navik (General Duty) 10+2 Entry for 01 / 2017 batch in the Indian Coast Guard, an armed force of the union. Candidates who completed their +2 class is a good opportunity.The individuals who are the occupation seekers searching for govt employments in India this is the best chance to apply. Competitors read the official notification then read all the guidelines and miners precisely then apply before the last date online application got. All the interested and eligible candidates can apply online before 10th June 2016. Academic qualification details: Candidates should have passed +2 class standard examination board with 50% marks aggregate in total and minimum 50% aggregate in Math and Physics from an education board recognized by Central / state government. Official website: All the interested and eligible candidates can apply online through official website of Indian Coast Guard www.joinindiancoastguard.gov.in from 28th June 2016 to 10th July 2016. Last date for the submission of online application is 10th July 2016.